National 167 Snack - Candy Vending Machine. Each shelf tilts forward at 45 °, making it easy to reach even the upper shelves. Discount mode, inhibit mode; and custom messages. The alpha numeric keypad makes choosing a product easy for consumers. The large buttons and bold lettering make it simpler to use than other systems. This machine s currently being refurbished by our highly skilled mechanics. The specifications for this equipment will be posted shortly. Thank you for your patience. •7 Different Selections Available Including: Extra Whipper Motors for Specialty Coffees; Cappucino, Expresso, French Vanilla, Etc. 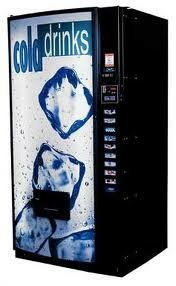 Our refurbished or reconditioned vending machines may be just the item you are looking for to fulfill your needs! Priced lower than a new model, but with the looks and function of a newer machine, our used equipment will meet the standards set forth by our quality minded customers. Sunstate Vending Equipment will stand behind all its refurbished vending machines. We believe that you should have a great vending experience, and all of our machines are completely inspected from the vending mechanisms, currency mechanisms, to the overall appearance of the machine. Our machines are carefully inspected and scrutinized before they leave our refurbishing facility to be put into service. Sunstate Vending Equipment Co fully believes that quality machines equal quality and reliable service. We start off with top of the line used vending equipment, completely service and inspect each component and test for functionality and reliability. A happy customer is a return customer.